Trade prices available. E-mail us on our contact form, conditions apply. VAT registered within the EU? Products in stock for same day dispatch. Cut off 1pm GMT. 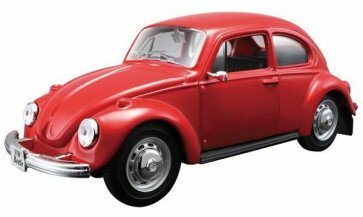 Model kit to build a 1:24 scale mode of a classic Volkswagen Beetle. All the parts in the kit push and screw together without the need for additional tools or materials other than whats included in the box. Once finished youre left with a highly detailed model of a VW Beetle thats flush with features on both the exterior and the interior, which is accessible through the opening doors. Green Spark Plug Co. Ltd has now added a dedicated sales and distribution team to handle customers questions and pre-sales enquires, we are experts in our field so if you have a query let us know!